Ian Spencer is Deputy Head of the UK’s National Centre for Geospatial Intelligence, leading delivery of Foundation GEOINT products and services to support all UK Defence capabilities, providing global GEOINT coverage for the Land, Aeronautical, Hydrographic, Meteorological and Oceanographic domains. Ian is also the Director of the Defence Geographic Centre, the Head of Profession for UK MOD Civilian Geospatial Analysts, and Deputy Head of the UK’s Cross-Government Geography Profession (part of the Government Science and Engineering Profession). 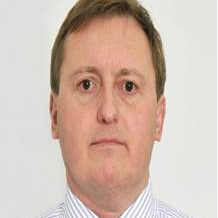 Ian was appointed to his current position in October 2015 and has served in UK MOD geospatial roles for 28 years. Ian is a Chartered Geographer, Chartered Manager, and Fellow of the Royal Geographical Society.